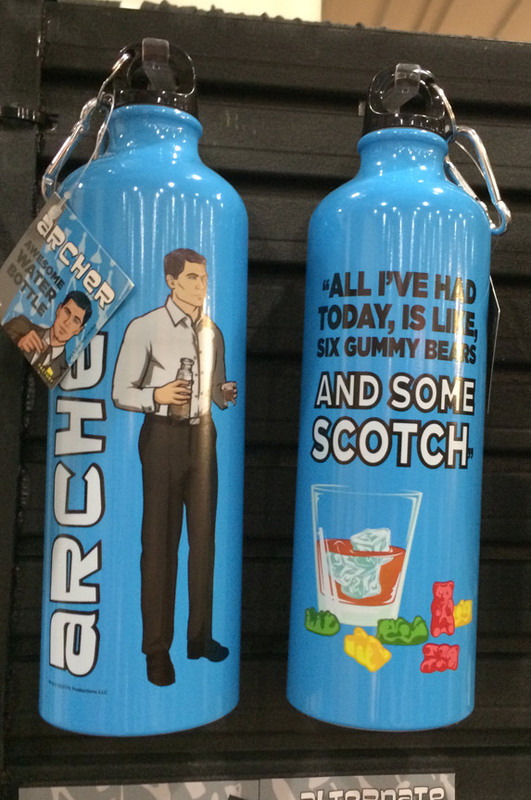 Archer on FX is my favorite comedy on television. It is flat out brilliant. It's been great to see it become both a critical and ratings success. No show is more deserving. 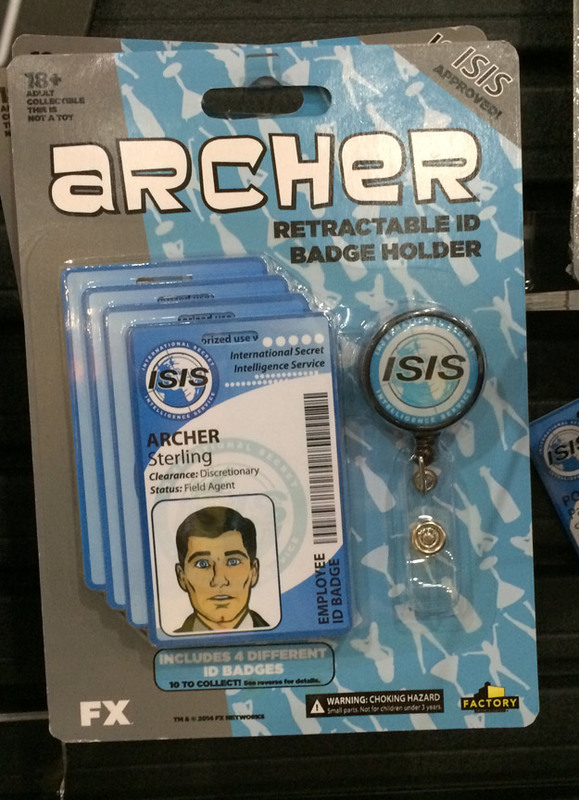 It's so good, they decided to make toys and collectibles. 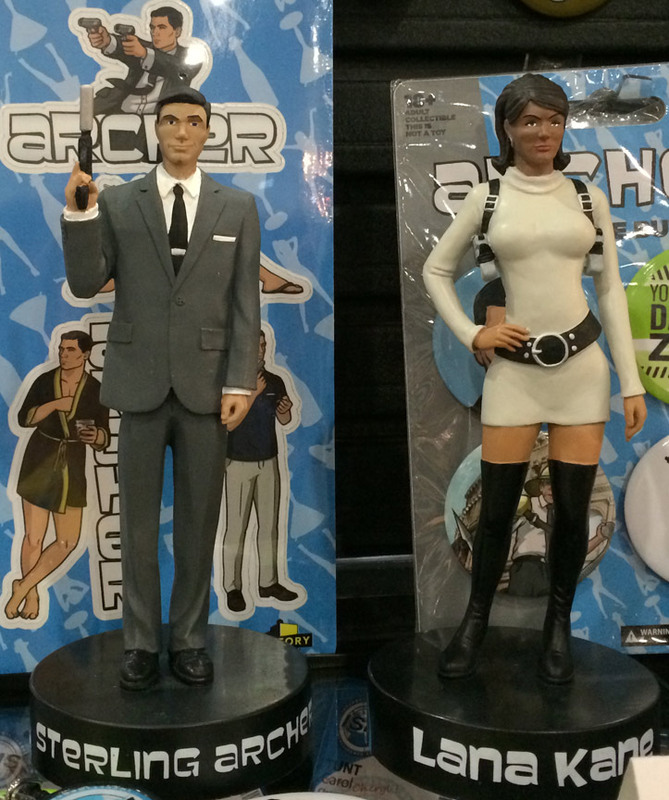 I'm not 100% sold on the action figures. 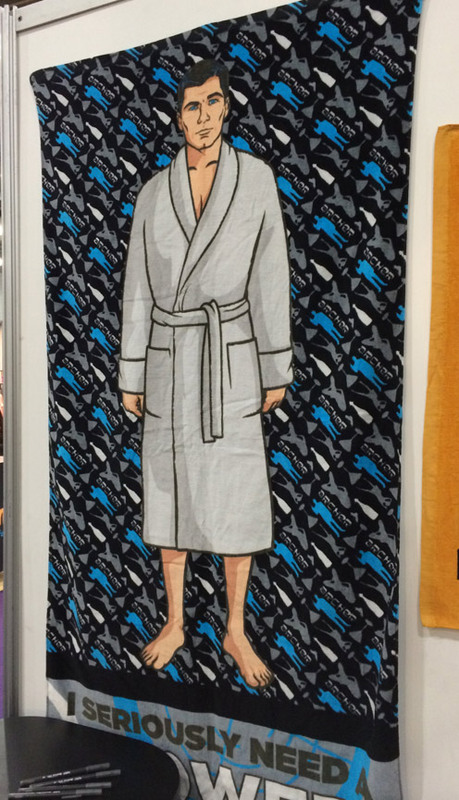 The style reminds me too much of those primitive-looking comic book characters that ship out in metal tins. 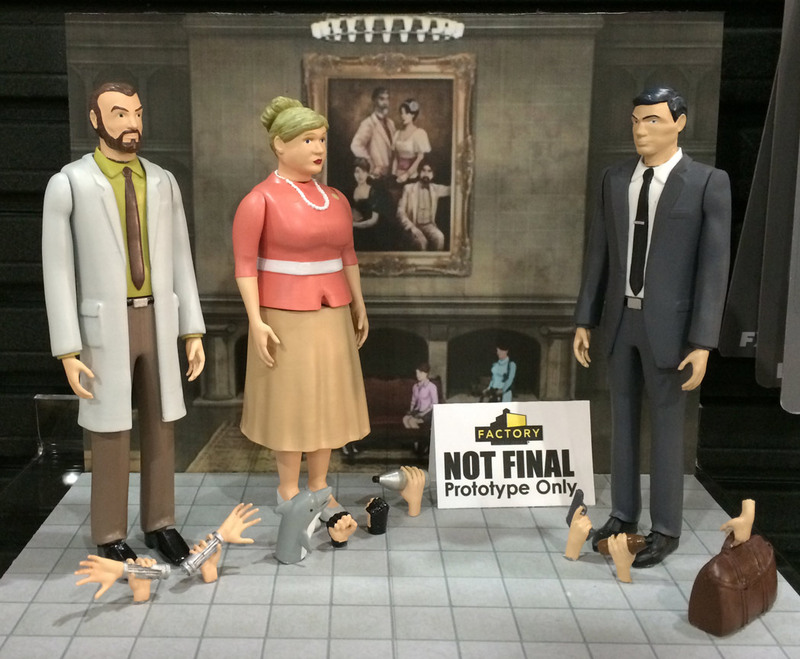 Almost clay-mation. Seems like they could be more true to the show. But the other stuff - gold! 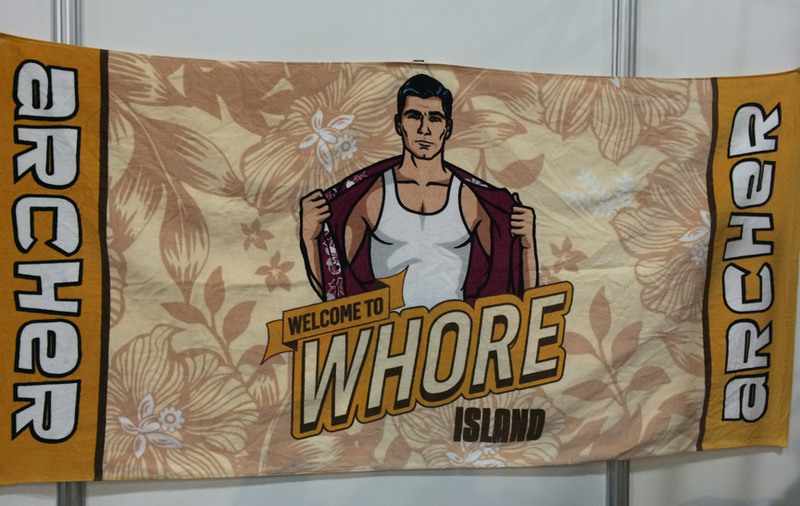 I'd totally buy a "Welcome to Whore Island" beach towel... if I wasn't a married father of two.